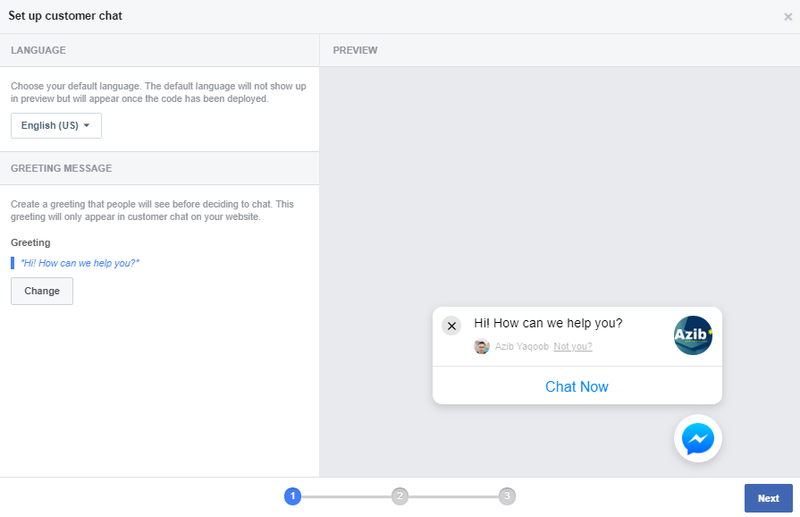 How to Add Facebook Chat in a WordPress Website? Blog » Marketing » How to Add Facebook Chat in a WordPress Website? 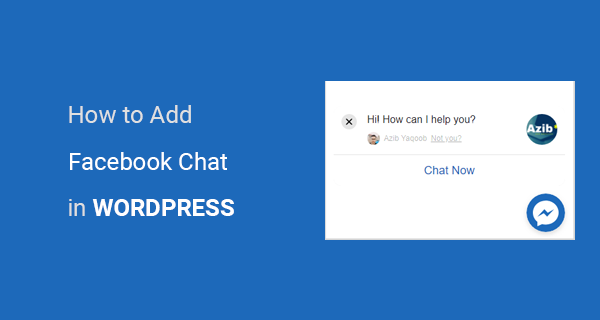 Do you want to add Facebook chat to your WordPress website? Here is a step by step tutorial which anyone can follow to add Facebook chat on a WordPress website. 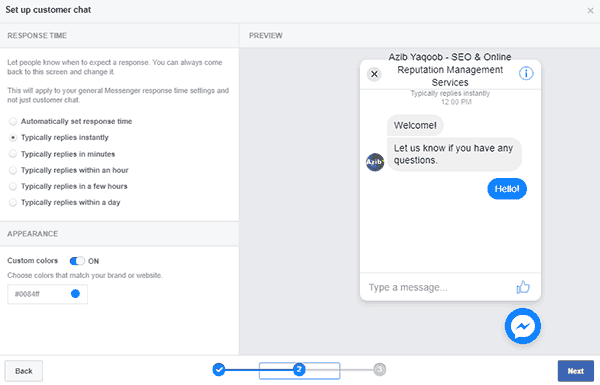 If your business relies heavily on chatting with new and existing customers, I think you will love this Facebook chat integration to your WordPress website. It will give your audience an easy way to ask questions or get quotes for your services. Both your customers and you can communicate through mobile and desktop computers by using messenger website/app. Note: In order to create this Facebook chat experience, you must have a Facebook user account and a facebook page. Step 1: Go to your Facebook page and click on the ‘Settings’. Find and click on the button which says ‘Messenger Platform’ in the left sidebar menu. Step 2: Scroll down this page and you will find an option ‘whitelisted domains’. You need to add your website domain name and Press the ‘save’ button. Step 3: On the same page when you scroll down further you will find ‘Customer Chat Plugin’ section. Click on the ‘Set Up’ Button. Step 4: It will ask you to set a greeting message. This message will show up whenever a customer will click on the Messenger button on your website. Click on the ‘Change’ button to set a custom message or let it be. It’s totally your call. Step 5: Configure a response time. You can also modify your messenger button color by clicking ‘Custom Colors’ to ‘On’. You can add any Hexadecimal color code here. Step 6: Copy this code. 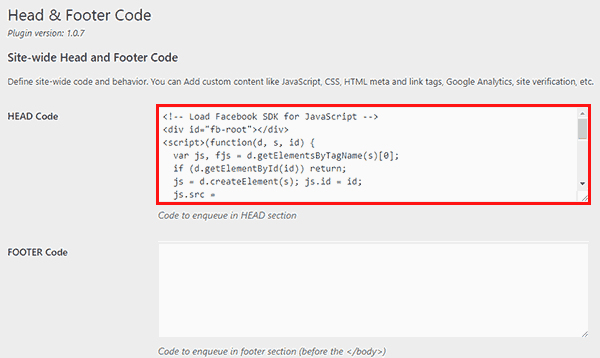 Login to your WordPress website and add that code to HTML Head section. If you have no idea where this section is located, then you can install Head & Footer Code plugin and add your code. In case, you want to improve chat box appearance, you can edit the code provided by Facebook. Change the number of seconds as you like. Let me know in the comments if you face any trouble. If you are interested to get more leads through Facebook advertising, then also check out this post on how to set up Facebook retargeting ads. I am using this syntax. But I cant get the greeting to minimize on desktop? Any thoughts? I am not sure which code did you use to minimize the chat. I think you should double check the code.